Exclusive! 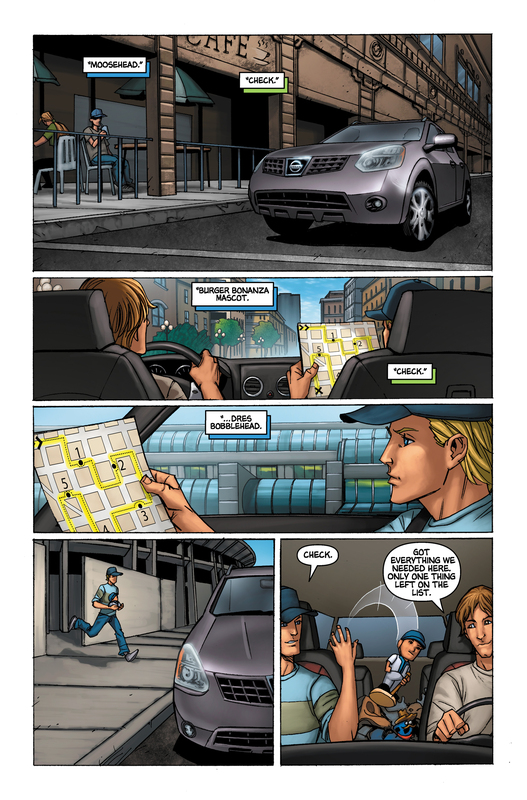 Sign up here to get an exclusive Heroes graphic novel you won't find anywhere else. In fact, it's not even available on the Heroes graphic novel page. A rogue society, a secret mission. At a frathouse in Costa Verde, CA, college students Derek and Rick, hoping to join a fraternity, are sent on a scavenger hunt by the pledgemaster. They stop by Costa Verde High School to obtain their first item. They are just in time to witness Claire having an altercation with Debbie Marshall, who is looking for a replacement cheerleader, and tries to match her up with another cheerleader by size. 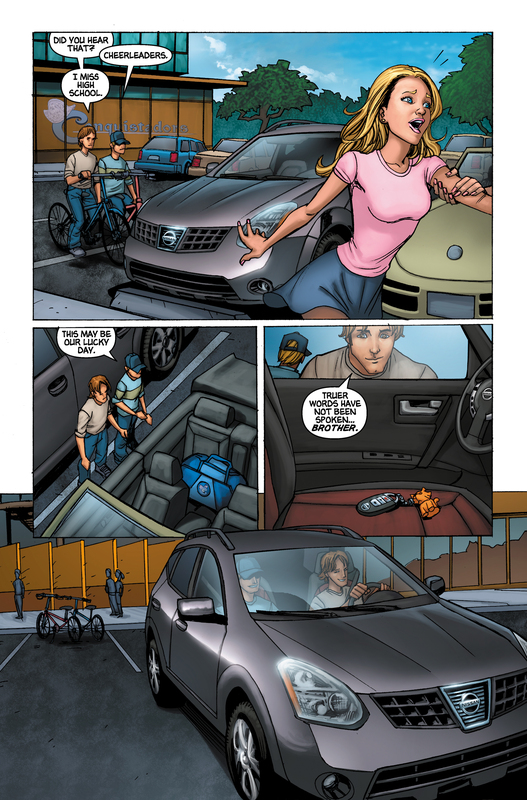 In the confusion, Claire leaves the keys in her Nissan Rogue, and Rick and Derek steal the car. They use it to drive around town, collecting items for the scavenger hunt, before heading to the final rendezvous point--in Mexico. 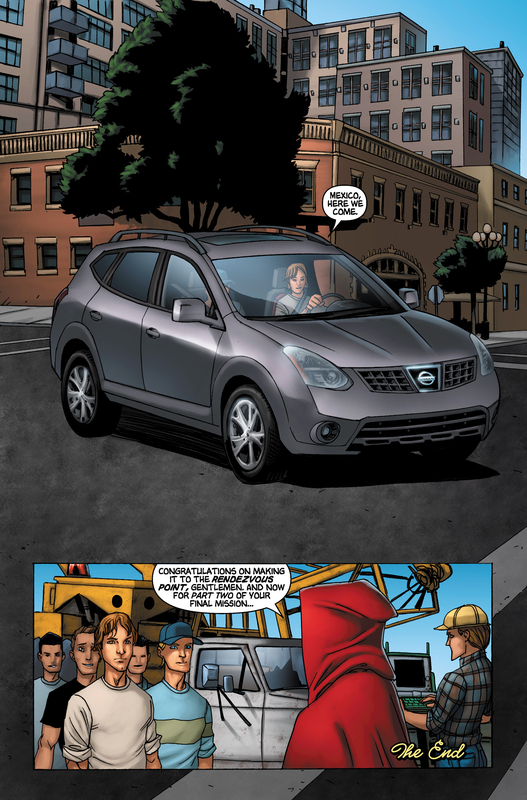 The graphic novel was originally not included on the graphic novels page of NBC.com. It was first available as a special download by signing up with a name, address, and email address. This graphic novel was published chronologically between numbers 54 and 55 (Petrified Lightning and The Trial of the Black Bear respectively), but is listed on the graphic novels page between numbers 56 (Molly's Dream) and 57 (Team Building Exercise). 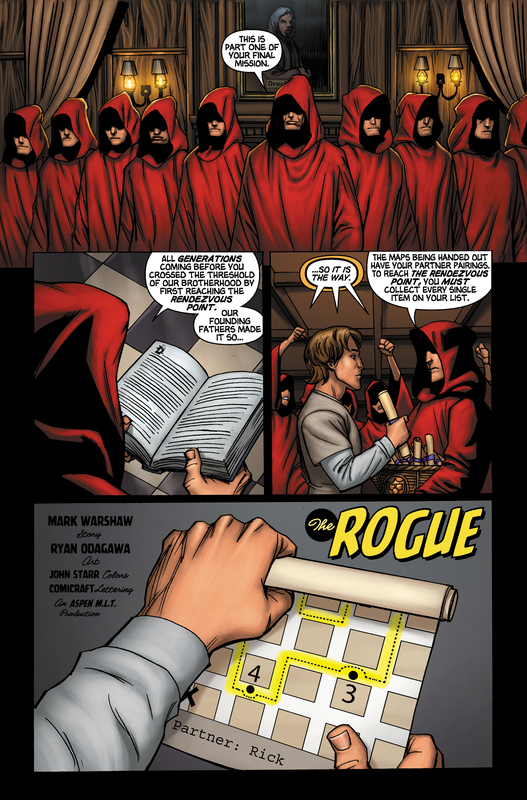 The Rogue is the first graphic novel to not have an Easter Egg. The interactive version has an Easter Egg that was added sometime during the 2008 hiatus. The items on the scavenger hunt list include a moosehead, the Burger Bonanza mascot, and a Dres bobblehead. A portrait in the frathouse is of a man named Drucker. For images from The Rogue, see Images from The Rogue. For Ryan Odagawa's original art from The Rogue, see here. This page was last modified on 9 October 2015, at 04:49.